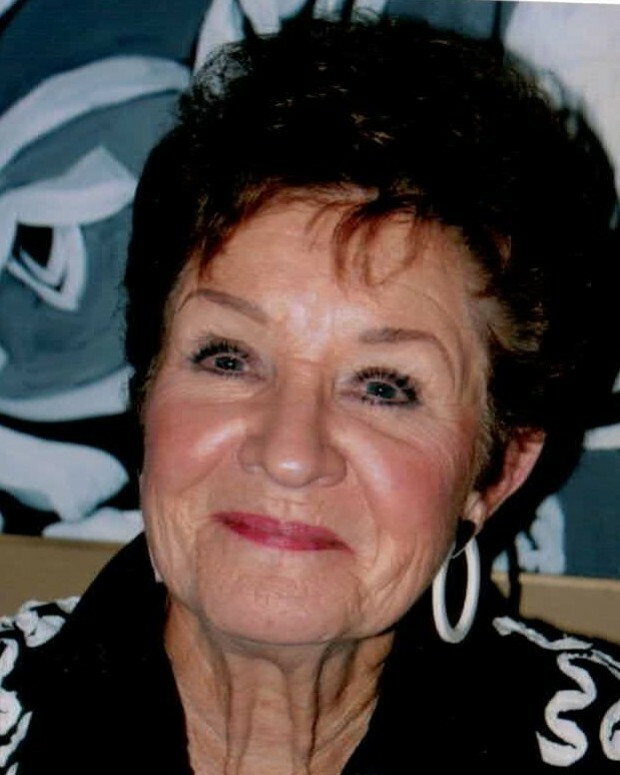 Helen Marie Waggoner, 89, passed on Feb. 6, 2019, at North Valley Hospital in Whitefish. She had been looking forward to the day she could reunite with her husband, George, and the many dear friends and relatives that have been waiting patiently on the other side for her. Helen Marie enjoyed the finer things in life … straight drives down the fairway, beautiful flowers, shopping for new clothes, a good hand in cards, Moose’s Pizza and her cocktails. She was known far and wide for her famous huckleberry cheesecake, perfect loaves of French bread, and a freezer full of homemade cookies and the cookbook she wrote. Helen took great pleasure in hosting gatherings of friends and family. Her classy style and wonderful smile brought joy to the people around her. She was beautiful inside and out. Helen Marie Kraut was born on May 12, 1929, to Carl and Mildred Kraut in Havre. She attended Cut Bank High School. She married the love of her life, George Waggoner, in 1947. They lived in Cut Bank where they raised their four children. She loved being a housewife and both she and George were amazing role models of marriage and parenting. She was active in the Presbyterian Church and in the hospital auxiliary. Helen Marie loved doing floral design and enjoyed catering with Bonnie Sammons. She also managed the restaurant at the golf course with Pat Shields for a few years. She and George moved to Whitefish in 1992 to be closer to many of their grandchildren. They quickly found many new friends at the golf course and enjoyed their regular dinner club outings. After George passed in 2004, she continued an active social life playing cards and cooking for friends and family. She golfed until she was 85. At 89, people were still commenting on how beautiful she was. Helen Marie was preceded in death by loving husband, George Waggoner, her sister, Betty Lou Simonson, and her grandson Gary Johansen. Trying to keep up her legacy are her children, Linda Vidanage of Santa Cruz, California, Susan Beyer of Missoula, Sheri Glaspey and husband Gregg of Whitefish, and Fred Waggoner of Whitefish. Her grandchildren are Heidi O’Neill, Sean and Dustin Glaspey, Cory and Evan (Kalli) Waggoner, and Myles (Shannon) and Sarah Beyer. Her great-grandchildren are Phoenix and Kodiak O’Neill and Birch Waggoner. Phyllis, Randy, Erin Sprunger and Stephanie Cook are beloved close family. The family would like to thank the compassionate staff from Hidden Meadow Country Living and North Valley Hospital for their wonderful care. In lieu of flowers, please donate to the Whitefish Golf Course Tree Fund, a charity of your choice, or call an old friend and say hello. As per her wishes, there will be no formal memorial service.